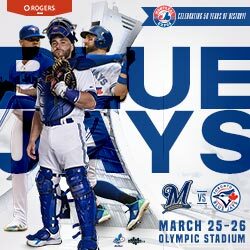 Montreal Mayor Denis Coderre announced in a news conference Friday his new ‘Baseball Plan’ for the City of Montreal, which will include an investment of $11 million by the city to help restore and improve the many baseball and softball diamonds and fields across the island. 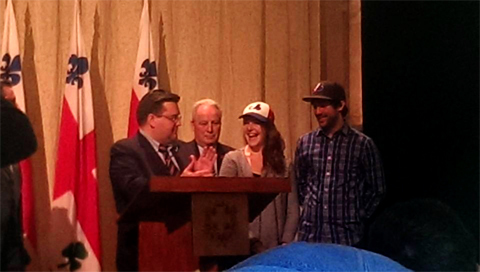 “The decline of baseball in Montreal is a thing of the past,” the Mayor said. “Baseball is part of our DNA in Montreal, and we want to restore its status to the place that it deserves. Mayor Coderre also announced along with renovations to current baseball diamonds, that new ones will also be built as well. In collaboration with the city boroughs, the ‘Baseball Plan’ will help to revitalize many of the city’s baseball and softball diamonds that have fallen into disrepair. Many diamonds are in desperate need of repair, especially when it comes to drainage of the fields, as well as the lighting that allows the games to go on well after dark. The $11 million announced on Friday will be split over the next three years, with $2 million in 2015, $4 million in 2016, and $5 million in 2017. The ‘Baseball Plan’ is equally an initiative to encourage participation in baseball and softball amongst Montrealers of all ages. It is part of an integrated strategy to develop the sport from t-ball all the way to the pros. By partnering with local baseball associations and with Baseball Quebec, the City will also ensure that the proper coaches and officials will be there to help grow and foster the game for all Montrealers. An announcement will be made in the spring as to which fields will be the first to be renovated.